Provide comfort for the family of Dorothy Holleran with a meaningful gesture of sympathy. Dorothy R. Holleran 100, long time resident of Rocky Hill, passed away peacefully at her home on Sunday, March 31st, 2019. Dorothy was born in New Haven, Connecticut on December 17, 1918 the daughter of John and Mary Reynolds Mulligan. She attended New Haven schools and was an Alumni of Larson College and Quinnipiac University. In 1945 Dorothy married John J. Holleran and in 1948 together the couple built their own home in Rocky Hill. On her husband’s release from military service the couple opened Holleran Jewelers on Asylum Street in Hartford. Dorothy retired in 1982 as a Business Service Officer from the Connecticut State Department of Education. Her early retirement years gave her time to enjoy her wonderful family, spend winters in Florida and traveling. Later on, when not visiting Florida she had time for her many hobbies, painting, writing, bird watching and rock collecting. Dorothy will be greatly missed by her family and friends. She will be remembered as a caring person with an incredible memory who was always willing to provide guidance and support. Dorothy was predeceased by her loving husband John of 67 years, great grandson Pierce Holleran Austin, 3 sisters, Catherine, Helen, and Loretta, 2 brothers, John and William. Survivors include, son John J. Holleran and wife Viesia Kupis of Burlington, Connecticut, son Edward T. Holleran and wife Nancy of Westchester, New York, five granddaughters, Lena and husband Peter Austin, Megan and husband Hans Hernandez, Caroline and husband Scott Thompson, Betsy, and Claire, five great grandchildren, Sean, Catherine, Lauren, Bridget, and Shannon. Relatives and friends may call on the family 8:30 – 9:30 AM Saturday, April 6, 2019 at the Farley-Sullivan Funeral Home, 34 Beaver Rd., Wethersfield. A Mass of Christian Burial celebrating Dorothy’s life will be held at 10:00 AM in St. James Church of St. Josephine Bahkita Parish, 767 Elm St., Rocky Hill. A private burial will be held at the convenience of the family. In lieu of flowers donations may be made to The Children's Cancer Fund at Connecticut Children's Medical Center Foundation, Inc., 282 Washington St., Hartford, Connecticut 06106, in memory of Pierce Holleran Austin. To extend online condolences or for further information, please visit farleysullivan.com. To send flowers in memory of Dorothy R. Holleran (Mulligan), please visit our Heartfelt Sympathies Store. 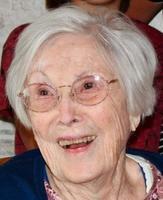 Provide comfort for the family of Dorothy R. Holleran (Mulligan) by sending flowers. My sincere condolences to the family. It is my hope that Psalms 94:19 be a source of comfort to you at this time.